Over the years, I have been to several events where a special dish called "Southern Caviar" was on the buffet table. I have tried it a few times and loved it so much. If you've never tried it before, it's a flavorful and fresh dip/salsa/salad that you eat with tortilla chips. 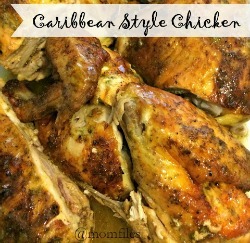 I recently got to thinking about making it myself and did a Pinterest search for recipes. I was overwhelmed by the amount of recipes that popped up. I think I gave up after viewing so many and finally decided on one that really looked delicious. 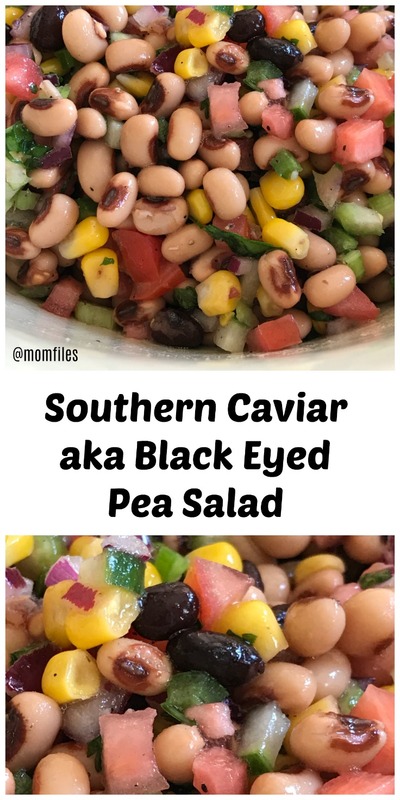 The original recipe from this site calls it Cowboy Caviar or Texas Caviar, and I used it as a guide to make my own version. When I made it I was afraid because it was A LOT. Trust me, we didn't have a whole lot left over once the family tried it. It is so good that you can't stop eating it. The best part is that it's easy to make with no cooking required. Check out the recipe below. Place all ingredients into a large bowl and add the apple cider vinegar, olive oil, sugar, salt and, cracked pepper last. Toss it together and *serve with your favorite tortilla chips. *You are supposed to let it sit in fridge for a couple hours, but some of us could not wait. It is also good with the scoopable variety of tortilla chips or corn chips. This would be perfect on top of white cilantro rice and then topped with chopped avocado as a vegetarian bowl. Yum! 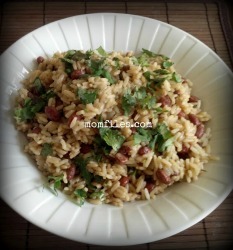 If you try this recipe, let me know what you think. Thanks for stopping by! Can't wait to give this a try. Thank you! Can't wait to try this too! Yum!